You totally got this! You’re ready for transfer-level English. Studies show that you are much more likely to succeed in English if you start at transfer-level. In fact, students like you who received a High School GPA of 2.6 and higher are far more likely to pass in transfer-level classes compared with those who start below transfer-level. 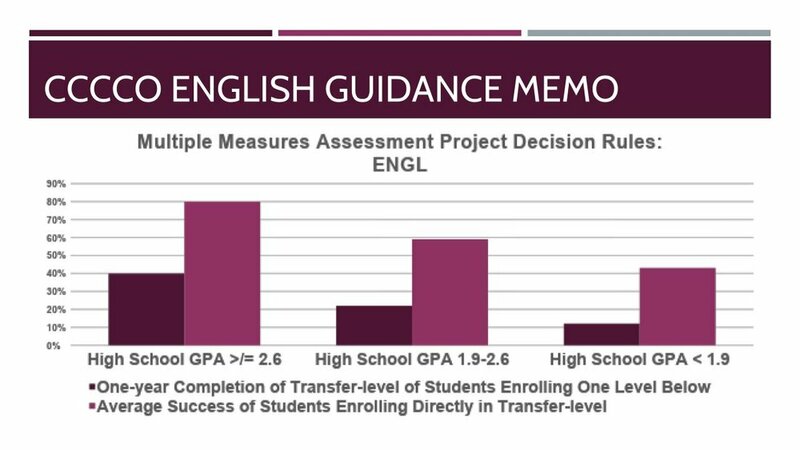 Here’s is a graph showing how much more likely you are to succeed at transfer-level English. So what are you waiting for? To find out more about registering for a transfer-level English class, click the button below to prepare to meet with a counselor.